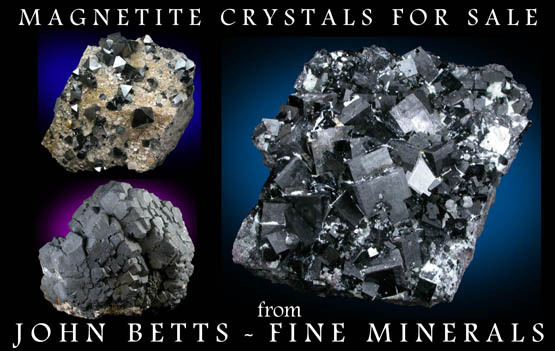 Description: Single crystal of dark metallic magnetite that strongly attracts a magnet. 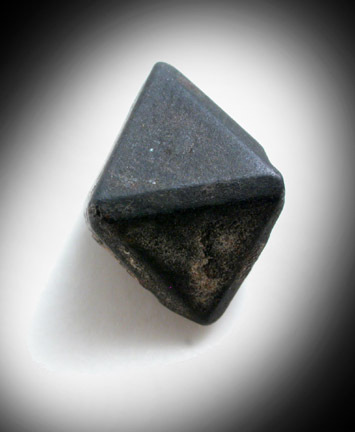 The crystal is octahedral form, with dodecahedral edge faces. One area contacted the matrix leaving a depression.